This is a guide to creating loving, stable stepfamily relationships. 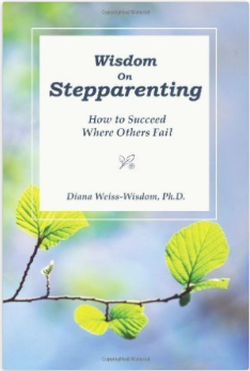 Written by a psychologist and stepmother, this book is for stepparents who want to make the most of their situation and learn how to be resilient, happy, and confident in their relationship with their spouse and their stepchildren. The stories in this volume are drawn from clients that the author has counseled as well as her own adventurous life as a stepparent. To other struggling stepparents who feel they are drowning in their situation, she offers hope, encouragement, and realistic coping strategies. She provides proven techniques that help individuals succeed in their new marriages, build caring relationships with their stepchildren, and bolster their emotional life in general. Do you have the Coronary Prone Behavior Pattern? Are you chronically anxious, easily angered, irritable, or feel that you are never going to have enough time to do all of the things that you need to do and run around trying to do them anyway? If you answered yes to any of these questions, you will want to read Stress and A Healthy Ticker. Do you have a history of heart disease in your family or have you had any cardiovascular illness yourself? If yes, you will want to read Stress and A Healthy Ticker. This book is easy to read, entertaining, and filled with practical information that you can start using today to protect your health and improve your quality of life. 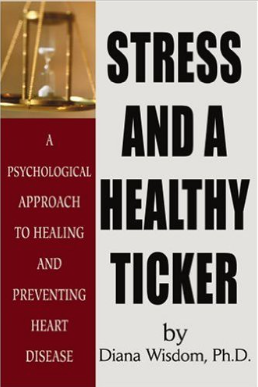 A mind/body approach to preventing and recovering from heart disease, the information and tools in this book may help you reduce your stress, improve your health, relationships, and quality of life. Everyone who reads Stress and A Healthy Ticker raves about how it has changed their life.Diana Weiss-Wisdom, Ph.D., is a licensed psychologist (psy#12476) in private practice in Del Mar, California, a newspaper columnist, and is frequently asked to speak on the subject of stress, health, and optimism. Dr. Weiss-Wisdom can be reached at www.drdianaweiss-wisdom.com.